The Home Builders Association of the Upper Peninsula is very proud to be a partner of the CTE (Career Technical Education) Program. Our goals are the same – to give our students opportunities to further their experience and their education in the skilled trades. 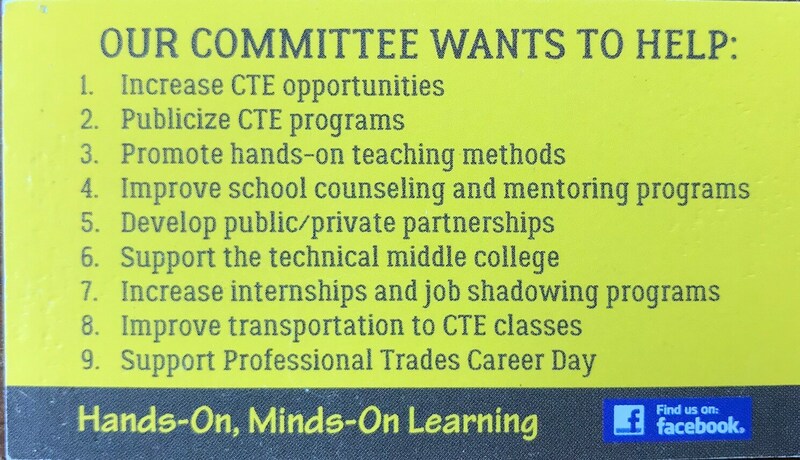 "The Career and Technical Committee (CTE) of Marquette & Alger Counties is dedicated to developing the talent needed to build a stronger Upper Peninsula economy and helping students develop a successful career plan during their high school years. This volunteer committee is comprised of leaders from education, workforce development, and industry who work together to increase CTE opportunities for students, promote the professional (skilled) trades to students and parents, and develop education/industry partnerships that benefit both students and employers. The committee has supported the development of innovative programs such as Geometry In Construction, The Marquette-Alger Technical Middle College, and the annual CTE Magazine, efforts that have resulted in a significant increase in the number of students entering the professional trades and which are now being replicated statewide. We encourage all employers who are in need of talent to connect with our committee to develop a plan that will provide the exceptional talent you desire and the opportunities our students need."